Why is dynamic pricing vs. fixed pricing important? Dynamic pricing is an absolute must if you are serious about your business. Many people think it is just about increasing the price when you can (special events, busy weekends etc) however there is so much more to the “art” of managing revenue across all platforms. Price decreases and promotions can attract more business to increase occupancy during slow times, maximising revenue during peak times, and having the prices set and monitored for future periods is so important. Small increases in average rate can have a dramatic affect on profitability, especially when faced with the added competition of non-commercial accommodation in the market achieving the same level of occupancy may not be possible even during the busiest periods, however the same or more revenue can be generated with improved profitability. How do you benefit from out outsourcing online revenue management to Rooms Online? It is a “no-brainer” to have someone else’s input to do the research and leverage their ideas and joint experience in order to get the best results. Rooms Online is the only partner set up purely to do this. They are also growing and learning exponentially which is a huge benefit for anyone partnering with them. If you are considering dynamic pricing for your business or trying it already doing it properly involves a lot of time which you can use to focus on other areas of your business. How have Rooms Online helped to manage your OTAs (Online Travel Agents)? Rooms Online also now have positioned themselves as a negotiator with the OTA’s so you are able to benefit from their knowledge of changes the OTA’s make, as soon as they make them and get all your OTA’s updated to get the best results. If you are in a market that is competitive then you will see growth in both occupancy and also rate if the whole market shows increases and you should be able to minimise loss of revenue and profitability in the case the market recedes. The main benefits from working with Rooms Online are their knowledge base around the OTA’s, they save me time dealing with them, and the overall time saved not managing rates both short term and long term. Pictured above: Lisa Jones, Sales Manager for Rooms Online and Troy Clarry from Whangaparoa Lodge. 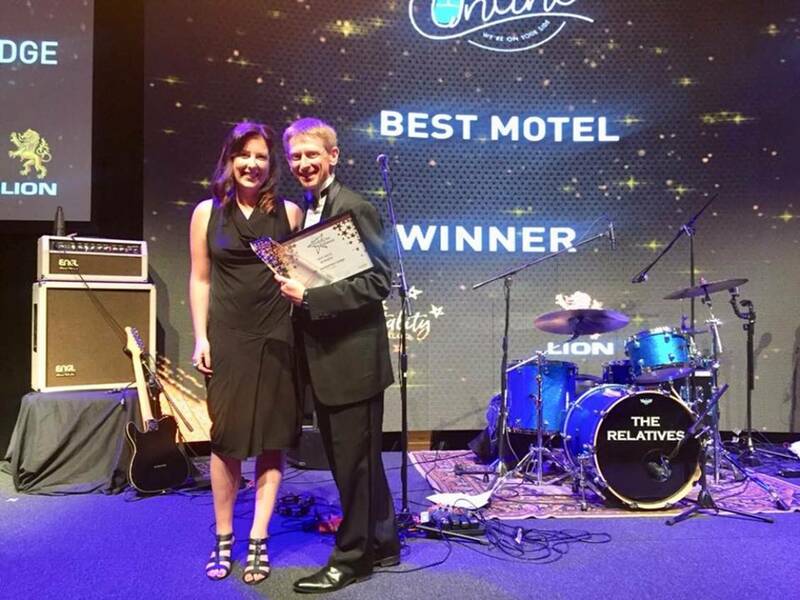 Whangaparaoa Lodge were the winners of the ‘Best Motel’ award for which Rooms Online was a proud sponsor at the 2017 Hospitality NZ awards.